Earlier this year, the government announced that the sale of pure diesel and petrol cars will be banned from the year of 2040. Following the announcement, people have increasingly started to consider to switching to alternatives such as hybrid and electric vehicles (EVs) which produce lower emissions. Amid the popularity of both types, many still do not recognise the edges of the two or understand their differences. So, here is a simple guide explaining both types of car that epitomise the future of the transportation industry! The production of EVs dated back to 1883 when English inventor Thomas Parker made the first electric car which gradually became a popular mode of transport, especially during the Golden Age. On the other hand, it was the famous Austrian engineer Ferdinand Porsche who built the first hybrid car Lohner-Porsche in 1896. It used an internal combustion engine to spin a generator that provided power to electric motors. Whilst an electric car derives 100% of its power from electrical sources, a hybrid car combines two different power sources: an electric motor and conventional petrol or diesel engine. As a hybrid car uses less petrol compared to its non-hybrid counterparts, it is more environmentally friendly. Meanwhile, not only a completely non-polluting zero-emission vehicle, an electric car is about one-third cheaper to operate than conventional cars on a cost-per-mile basis. It converts 59%-62% of the electrical energy from the grid to power the wheels whereas a conventional car only converts 17%-21% of the energy stored in gasoline to power at the wheels. Hybrids and electric cars create their power for battery recharging through a mechanism known as regenerative braking (regen) that simultaneously creates electricity and conserves kinetic energy that would otherwise be wasted every time the brake is applied. Yes, both types are that cool! Simply put, the engines act as generators. As the car slows down or stopping, the motion is turned into electrical power that recharges the on-board battery. Therefore, batteries continually top their power up when you put your foot on the brake. Therefore, this mechanism is most useful when you drive in the city roads where you need to continually stop and start due to traffics. In case of hybrids, the more time a hybrid car can operate on electric power alone or with a boost from its electric motor, the less its petrol or diesel engine needs to work, hence the more fuel-efficient it will be. Aligned with the government’s clean air plan, more electric charge points are opening at UK petrol sessions. To date, they are available in almost 5,000 locations across the nation. 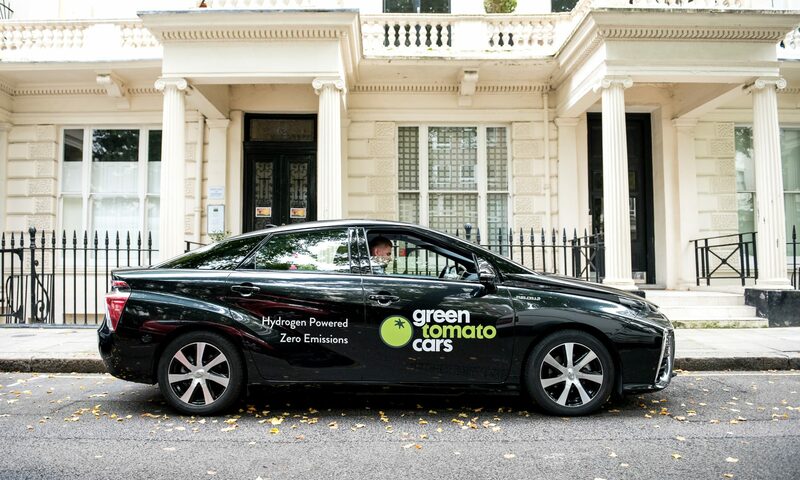 In London alone, there have been over 2,860 charging stations installed from a total of 14,057 in the UK and this number is only increasing – making booking an eco-friendly taxi journey quicker than ever!